Latin America’s subdued response to the immigration reform debate in the United States reflects a region-wide skepticism buttressed by the recent history of unfulfilled expectations. Mexican media and a handful of Central American counterparts across the board have identified the Republican Party as the primary impediment to progress. Conservative editorialists in the region, many of whom denounce President Obama and the Democrats as political opportunists rather than legitimate advocates for immigration reform, have also expressed frustration with the Republicans for not coming up with a better approach. In particular, they think the party’s digging its own political grave by failing to rein in members and supporters who smear Hispanic immigrants as a threat to the ethnic identity of the United States. Some have fond memories of Ronald Reagan’s 1986 Immigration Reform and Control Act, which balanced security and enforcement with compassion and amnesty for undocumented migrants. Mexico’s El Universal has been one of the most frequent contributors to the discussion of immigration reform, particularly with editorials giving greater attention to the human rights aspect of the debate. They’ve called for reforms so that undocumented workers can “come out of the shadows,” so that families can stay together without fear of deportation, and so that harsh punishment meted out to undocumented workers caught crossing the border can come to an end. The Mexican government has been relatively quiet on the issue of immigration reform in the previous decade, with the exception of a complaint lodged against Alabama’s HB 56, which requires police to take certain actions if they have “reasonable suspicion” that an immigrant is in the United States unlawfully. But last summer Foreign Minister José Antonio Meade took to the pages of El Universal to complain that proposed enhanced border security measures were a detriment to regional development – and not a solution to immigration problems. Public opinion data on Latin American views of the reform debate is limited, though circumstantial evidence suggests a connection between reforms and overall views of the United States. 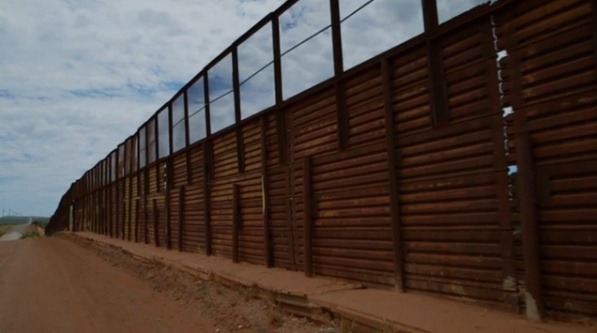 Pew Research found that public opinion of the United States among Mexicans dipped sharply following the passage of Arizona SB 1070 in 2010, which laid the groundwork for HB 56. Those numbers have since rebounded, with 66 percent of those polled holding favorable views of the United States in 2013, when many perceived that the Obama administration would achieve a positive outcome in the reform debate. Although critical of Republican approaches, commentators who support reforms are not inherently in favor of the Democratic Party. Only half of those Mexicans polled held a favorable view of the Obama administration, and some commentators have noted the high number of deportations on Obama’s watch. For Latin American observers, humane and fair treatment for migrant workers and immigrants is the primary concern – and neither party appears poised to deliver. The region’s skepticism that this round of debate over immigration reform will produce anything new appears at the moment to be warranted.